Warren Roberts is a proud Thunghutti and Bundjalung man who founded YARN Australia in 2007. He has extensive experience working with Aboriginal and Torres Strait Islander communities having worked for NGO's and universities, as well as local, state and federal government. Warren has been fortunate enough to work alongside esteemed elders from Aboriginal and Torres Strait Islander communities, which has encouraged him to reflect on the importance of respecting cultural protocols. Tim graduated from the University Of Canberra in 2010 with a Communications Degree. Since then has worked for a variety of business and organizations, developing and implementing marketing plans for software companies, major music festivals and community organisations. Tim has a sound understanding of branding and knows how to assist companies to tell their story and how reach their desired audiences..
Charlie Ford is an ARIA Award nominated filmmaker who has enjoyed success across his short films, music videos and videography. He is currently the Senior Content Director at a global digital agency creating videos for Telstra. Charlie's work has been featured in Rolling Stone, screened at the Melbourne International Film Festival and involved him collaborating with the traditional owners of Uluru. 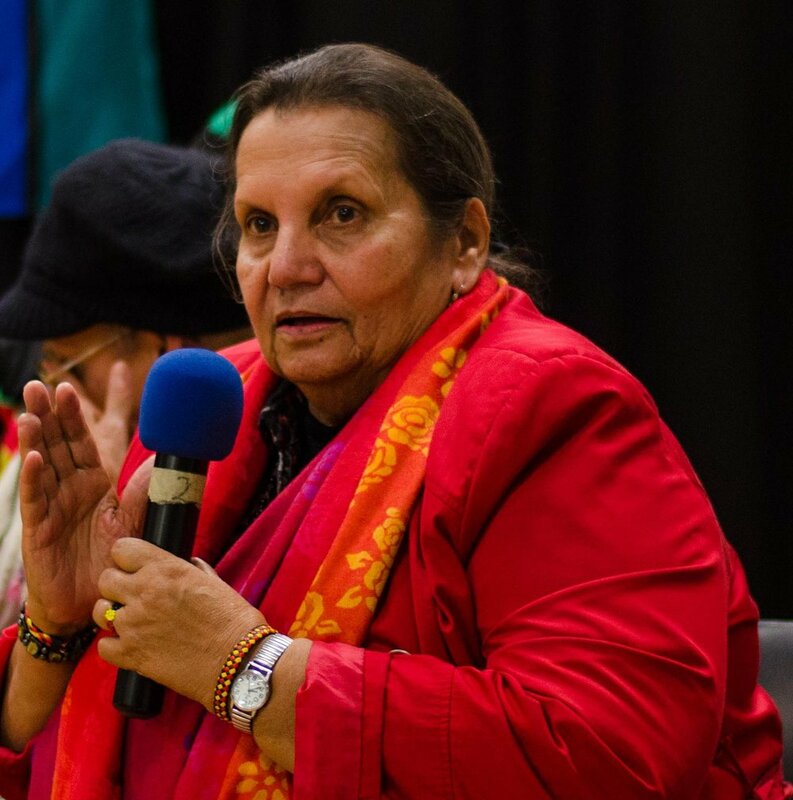 Aunty Dianne Roberts, Thungutti Elder from Bellbrook, New South Wales, was awarded an Order of Australia Medal in recognition of her dedication to Aboriginal children’s education. She has received the NAIDOC Award for Education Initiatives, the NSW Children’s Services Award, and the Government of NSW Citizens Award. She has served on committees associated with the Department of Community Services, the State Education Policy Committee, and the State Aboriginal and Torres Strait Islander Early Childhood Advisory Group. Aunty Pearl Wymarra, Gudang Elder from Cape York Peninsula, Queensland, graduated from Nepean College of Advanced Education (now UWS Penrith Campus) with a Diploma of Primary Teaching in 1980. She completed a Masters in Health Science (Primary Health Care) writing a thesis entitled Recreating Home in 2001. Member of the Community Justice Coalition and the Throughcare Jigsaw Group working with prisoners, inmates and their families. Aunty Linda Jackson, Noongar Yamatji Elder from Perth, Western Australia, is an artist whose work has been recognised across the country. From murals in St Vincent’s Hospital, to wall paintings in Melbourne’s Taxation Office, Jackson’s work can be seen in the most unsuspecting of places. Today Linda lives in Redfern, Sydney, surrounded by her children, grandchildren and great-grand children. She works at the local women’s centre, teaching art to victims of domestic violence, and also with kids on welfare. Aunty Ali Golding, Biripi Elder from Taree, New South Wales, is the inaugural Elder in Residence in the Faculty of Medicine at the University of New South Wales, which is the first time any medical school in Australia has made such an appointment. She took up study at Nungalinya College Darwin and graduated with a Diploma of Theology. In 2010 she was awarded the National Aboriginal and Islander Day Observance Committee (NAIDOC) Elder of the Year (Female). Aunty Janette Phillips, Ngunnawal Elder from Canberra, ACT: "I honour my ancient ancestors, the Ngunnawal people. For tens of thousands of generations, our people have walked this country. In the last 240 years, we have survived.I don’t stand here for myself, but rather all those that have gone before me, specifically my parents, both of whom are of Ngunnawal descent, my grandparents, my great-grandparents." Uncle Harry Allie, Cudjula Elder from Charters Towers, Townsville, Queensland. After working for the Post Master General's (PMG) Department, in 1966 Uncle Harry enlisted in the Royal Australian Air Force. During more than 23 and half years of service, he was posted throughout Australia, USA and Malaysia. 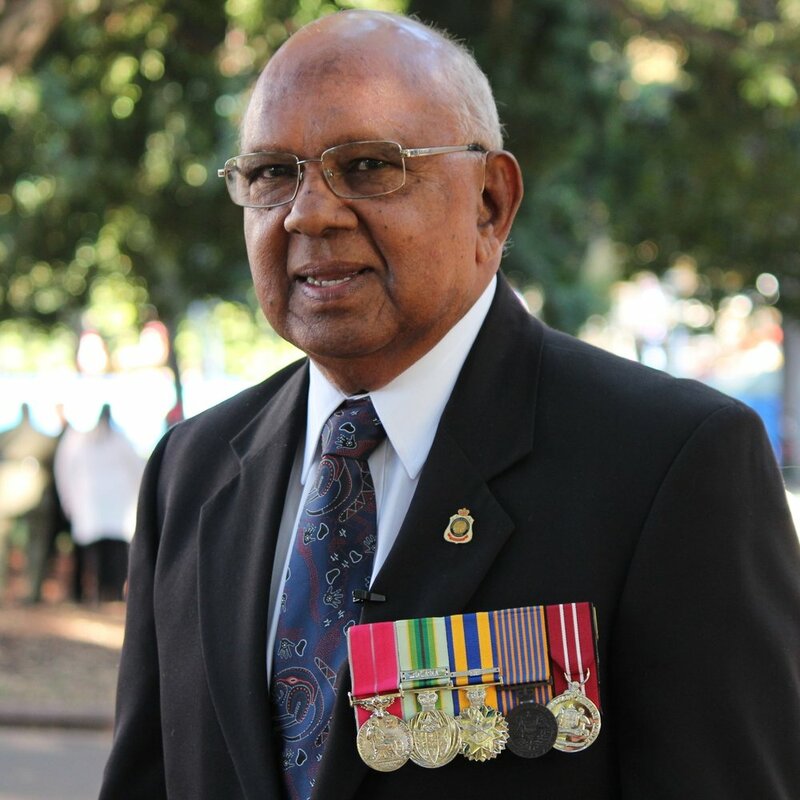 He is a Committee Member of the Nangahmi Ngallia Aboriginal Corporation, Coloured Diggers Projects and the Chair of the NSW coordinating committee for the ceremony honouring the service of Aboriginal and Torres Strait Islander Servicemen and Servicewomen. Uncle Vic Simms, Bidjigal Elder from La Perouse, New South Wales. A singer, Uncle Vic Simms has an extraordinary personal story from early career success as the first indigenous performer on Bandstand, through to a triumphant career comeback. Simms began his singing career at age 12 at the Manly Jazzorama Music Festival in 1957, soon after Col Joye heard him singing at a local football social. He released his first single (as "Vicki Simms") Yo-Yo Heart at age 15. He performed with Johnny O'Keefe, Shirley Bassey and Robie Porter, among other prominent singers.